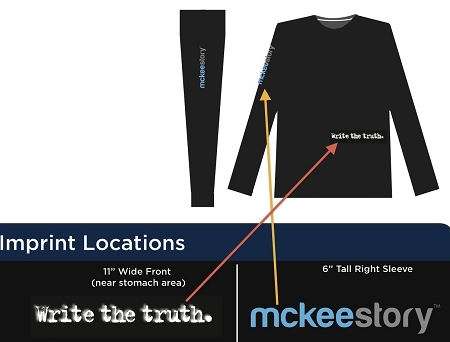 A simple black long sleeve t-shirt with "mckeestory" down the right sleeve, and "Write The Truth." on the mid section. Copyright McKee Store. All Rights Reserved. eCommerce Software by 3dcart.